With a long history, this is a must-see store. 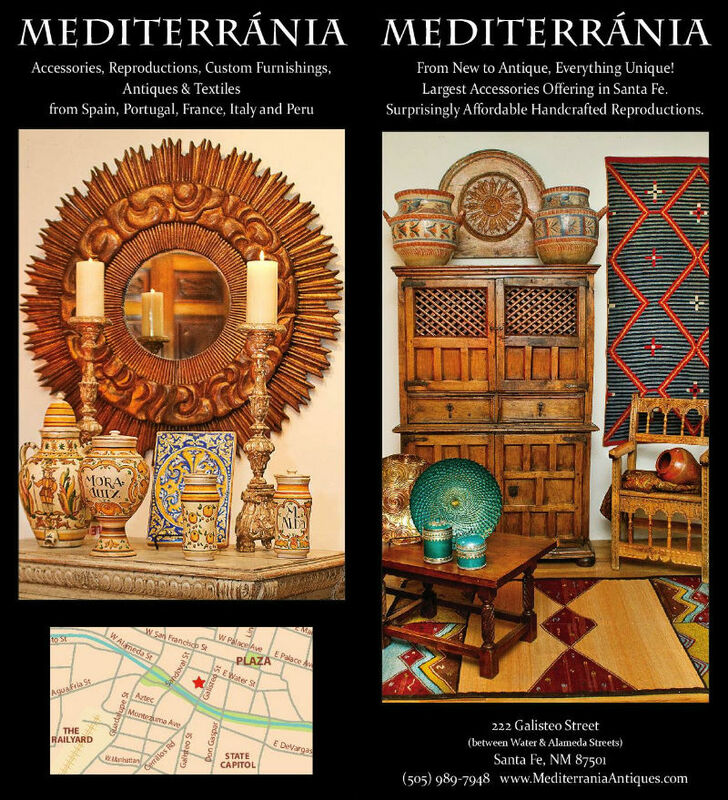 Unique and beautiful finds at Mediterrania in both high-end and reasonably priced home accessories, furnishings, antiques and textiles from Spain, Portugal, France, Italy and Peru. Due to the variety and quality of its collections, Mediterrania is one of the most respected stores of its kind in the Southwest. In 1994, after 20 years of living in southern Europe and with a passion for preserving Spanish country antiques, we opened our showroom in Santa Fe, New Mexico. While our Santa Fe, NM showroom houses an array of stunning pieces, designers and architects often rely on us to search the European countryside for specific items needed for client projects. Such items have included antique roof and floor tiles, wrought-iron gates, carved wooden doors and other architectural elements.